In the Policy Exchange report Clearing the Fog of Law: Saving Our Armed Forces from Defeat by Judicial Diktat, Richard Ekins, Jonathan Morgan, and Tom Tugendhat criticize the European Court of Human Rights at Strasbourg for not disapplying the rights of the European Convention on Human Rights (ECHR) in cases where British troops act abroad. Together the authors have written a report which impresses with its eloquence and conviction, but ultimately leaves something to be desired in terms of how it treats the sources and the method of international law. One problem with the report is that while all three authors may well be clever, and have great legal expertise in the field of constitutional law and contract law, they are not human rights or public international law lawyers. It was Alexander Pope who supposedly said that ‘a little knowledge is a dangerous thing’—regrettably Clearing the Fog of Law reads as a lively confirmation of that adage. The authors focus their attention on what they refer to as ‘a new form of judicial imperialism’ (p. 7), ‘the cavalier expansion’ of the ECHR (p. 46), a development which, in their view, has at least two problematic aspects. First, the provisions of the ECHR, a convention which in their view was meant to be applicable only in time of peace, have been allowed to apply in war. Second, not only has the ECHR, in their view, illegitimately been allowed to apply; it ‘is supplanting and undermining the older and far more suitable body of International Humanitarian Law’ (p. 9), for this purpose the four Geneva Conventions. According to the report, the Strasbourg Court is wrong to have applied the ECHR to the actions of British troops acting abroad, and the Strasbourg Court is wrong to have let the ECHR supplant the rules of international humanitarian law (IHL). Such developments, the authors say, are not ‘properly supported by sound legal method’ but rather ‘an instance of over-bearing judicial power’ (p. 9), the report arguing in essence that the courts have discarded what the authors term the traditional interpretation of the ECHR which could be summed up as ‘the general understanding that the ECHR did not apply extraterritorially’ (pp. 11& 46). Time and again, the authors make the claim that the ECHR was ‘designed for conditions of peace in post-war Europe’ (pp. 8 & 9), ‘intended to regulate stable peacetime polities’ (p. 26), ‘simply not intended by the treaty’s drafters and original signatories to apply to combat’ (pp. 27 & 28); they refer to ‘the peacetime human rights standards of the ECHR’ (p. 32). The message is clear—the judges of the Strasbourg Court are plainly wrong to apply the ECHR to anything but ‘the peacetime for which the ECHR was envisaged’ (p. 31). This is, however, plainly wrong. ‘The fact that this Article provides that a state may derogate from provisions of the Convention in time of war, rather than that such provisions are automatically rendered inapplicable, is incompatible with the notion that the Convention is applicable only in time of peace’(C. Greenwood, ‘Rights at the Frontier’ in Law at the Centre (Kluwer, 1999), p. 279). This conclusion is plain from the clear text of the Convention and is, by any standard, not a breach of ‘sound legal method’. The ECHR was simply not intended to go silent amid the clash of arms. ‘there is no a priori reason to limit a state’s obligation to respect human rights to its national territory’ ((1995) 89 AJIL 78, pp. 80–1). The idea of extraterritorial application of the Convention was in no way unheard of or novel by the time the Human Rights Act went through Parliament, nor the idea that the Convention applied in armed conflict. ‘what may often seem the inconvenience of having to take into account another body of law [ie international human rights law] with a very different structure and approach to that of the laws of war with which he or she is familiar’ (Greenwood, p. 292). All is fair in love and war, but this is not a good way of quoting the balanced view of a leading international lawyer. Indeed, on closer inspection, Judge Greenwood’s view of the interpretative reconciliation of human rights law and international humanitarian law is the rock upon which founders the report’s thesis. The criticism that the report levels at the judgments of the Strasbourg Court in relation to the question of the relationship between international humanitarian law and the ECHR fails to convince. One of the judgments that the authors single out for criticism is Al-Jedda v United Kingdom. This judgment is cited as evidence of ‘judicial imperialism’ and as showing ‘the risks of straightforwardly applying Article 5 of the ECHR to armed conflict’ as it ‘apparently ignored the Geneva Conventions altogether’ (pp. 20 & 29–31). As will be seen, Al-Jedda could be thought to be an unnatural candidate in this connection. ‘the Court was not, in fact dealing with an [international armed conflict], nor was it claimed that [Geneva Convention IV] applied de jure to the situation. In such circumstances it seems inappropriate to conclude that [Geneva Convention IV] displaces human rights law, or provides an implied legal basis for detention under human rights law’ (‘The Complex Relationship between the 1949 Geneva Conventions and International Human Rights Law’ in The 1949 Geneva Conventions: A Commentary (OUP, forthcoming 2015), p. 34). Would it not have been surprising if, in fact, the Court had decided to apply Geneva Convention IV when, according to its terms, that convention did not apply? No less astonishing is the criticism of the recent Grand Chamber judgment in Hassan v United Kingdom, which the report seems to criticize both for not going far enough in letting rules of international humanitarian law trump the provisions of the ECHR and for going too far in doing so. The case concerned an Iraqi citizen who was arrested, by British forces, during the ‘major combat operations’ phase of the Iraq war; he was detained for a short period and then released. He claimed that his arrest and detention had breached Article 5 ECHR. The Grand Chamber dismissed the Article 5 claim, determining that since the UK had been exercising its power of detention under the Geneva Conventions, Hassan’s detention was legal under international humanitarian law. What the Court did was not simply to let the Geneva Conventions trump the ECHR as lex specialis, nor to disregard the Geneva Conventions and apply only Article 5 ECHR, but instead to attempt to reconcile the two bodies of law symbiotically (as EJIL Talk!’s Lawrence Hill-Cawthorne has put it), interpreting the requirements of Article 5 so as to make room for the more permissive regimes under international humanitarian law. ‘the protection offered by human rights conventions does not cease in case of armed conflict, save through the effect of provisions for derogation’ (ICJ Rep 2004 p. 136, 178 at ; ICJ Rep 1996 p. 225, 240 at ). The report here takes an unbalanced view that certainly parts company with the approach authoritatively laid down by the International Court of Justice. But, perhaps surprisingly, the authors also attack the judgment from the other side, joining the ‘uncompromising dissent by Icelandic Judge Robert Spano’, now taking the view that the Strasbourg Court had gone too far in trying to incorporate into the Convention the rules of international humanitarian law, that the majority has actually inserted into Article 5 a ‘new, unwritten ground for a deprivation of liberty’. In substance, the Court had given the Geneva Conventions priority over the ECHR, all the while denying that it was doing so, the authors state (p 29–30). ‘own favoured part of international law as a self-contained legal regime capable of being applied without reference to the rest of international law and especially without reference to the alien legal regime relied upon by the rival school’ (Greenwood, p. 278). This could be thought to be a fitting description of Clearing the Fog of Law. The dangers of wrongly seeing certain parts of international law as self-contained regimes to be applied in isolation from the, perceived, legal irritation of other parts of the body of international law are no less real for domestic lawyers taking it upon themselves to go extraterritorial. 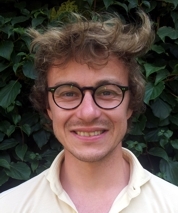 Eirik Bjorge is the Shaw Foundation Junior Research Fellow at Jesus College, Oxford. He is the author of The Evolutionary Interpretation of Treaties (OUP, 2014) and Domestic Application of the ECHR: Courts as Faithful Trustees (OUP, forthcoming 2015) and the co-editor of Landmark Cases in Public International Law (Hart, forthcoming 2016). This is a modified version of a longer post which originally appeared on the EJIL Talk! blog. I am not an international lawyer, and despite some understanding of human rights, I have always found the questions of extra-territorial application very complex. The academic debate is clearly nuanced, and worthy of appreciation. I only want to comment on what I fear is a more troubling aspect of this report. That the authors used their academic status to influence public opinion on a matter on which they hold little expertise, and in a manner which is plainly selective and polemical. While this might be a successful political strategy, I am less convinced that this is consistent with academic values. Intellectual integrity and the pursuit of clarity are, in my view, the virtues and ends that shape the academic pursuit. We know in this vocation that we are judged not on the rhetoric we deploy, or the force of the emotions we can inspire and exploit. Instead, we are judged by our peers to be experts, because of the quality, rigour, depth, and substantiated basis of our research and explication. Within this paradigm, our key objective is scholarly expertise, recognised by those around us, which gives us a certain claim to authority in the world beyond our immediate peer group. That authority is (supposedly) unique and independent, value-free, fact-based, rigorous and, above all, neutral (or at least non-instrumental) as to the ends we wish our scholarly pursuits to serve. The Policy Exchange report Clearing the Fog of Law is plainly wrong, in terms of English law, European Human Rights Law and International law. Always interesting with a probing review and a critical thesis, but the instruments we use as lawyers set some limits. I do not think any reasonable lawyer with any expertise on the issues could have written the report. But a reader without any background in the field could take this at face value. One problem lies in the extension of the posting by Liora Lazarus (with which I am in full agreement): The Policy Exchange report may be picked up by someone who will use it in a political context and present it as an authoritative document. This entry was posted on April 15, 2015 by Constitutional Law Group in Human rights, International law and tagged Derogation from ECHR, European Convention of Human Rights, European Court of Human RIghts, Human Rights Act, international humanitarian law.